We read the publication by Suárez et al. on “First case of Furuncular Myiasis due to Cordylobia anthropophaga in a Latin American resident returning from Central African Republic” with great interest.1 Suárez et al. noted that “To our knowledge, this is the first reported case of C. anthropophaga in Latin America.1” The interesting question is whether this is an exact first case of C. anthropophaga in Latin America. In fact, the myiasis is not an uncommon problem and might relate to the travel to endemic area. 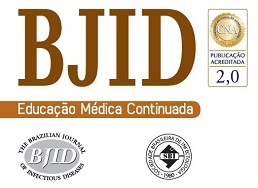 Focusing on Latin America, it is also reported as a source of imported myiasis to other regions of the world. In the previous report from Israel, it is clearly reported that there were many imported cases of furuncular myiasis due to C. anthropophaga in returning travelers from Latin America. According to that study, the “Madidi National Park in Bolivia” is mentioned as an important destination where the traveler acquires the disease.2 It is unlikely that there has never been any previous case of furuncular myiasis due to C. anthropophaga in that area.2 The disease might be a common nevertheless forgotten problem. J.A. Suárez, A. Ying, L.A. Orillac, I. Cedeño, N. Sosa. First case of furuncular myiasis due to Cordylobia anthropophaga in a Latin American resident returning from Central African Republic. T. Lachish, E. Marhoom, K.Y. Mumcuoglu, M. Tandlich, E. Schwartz.